If you have been looking for a good tutorial on how to make your own stockings, Alicia has put together a great photo tutorial on how to make your own. You can check out her DIY stockings over at Thrifty and Chic. 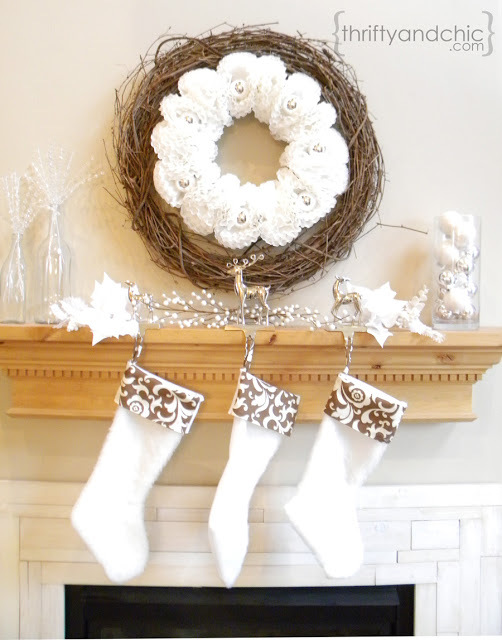 While your are there, make sure to check out the tutorial for that pretty wreath over her mantel too.